Coffee chain Costa Coffee has introduced coconut milk across its stores nationwide from today. According to the brand, the new milk is in response to 'customer demand for an additional alternative'. Russell Braterman, Global Innovations Director at Costa, said: "Opting for dairy-free alternatives and natural flavours are growing trends and coconut is becoming more and more popular. "Coconut milk complements coffee perfectly and offers a fantastic alternative choice for our customers. "We hope to not only encourage customers to try new and exciting ways to enjoy great coffee – but to escape the depths of UK winter with a deliciously smooth tasting coffee experience too." To celebrate the launch of coconut milk, the brand has introduced a new limited edition drink. 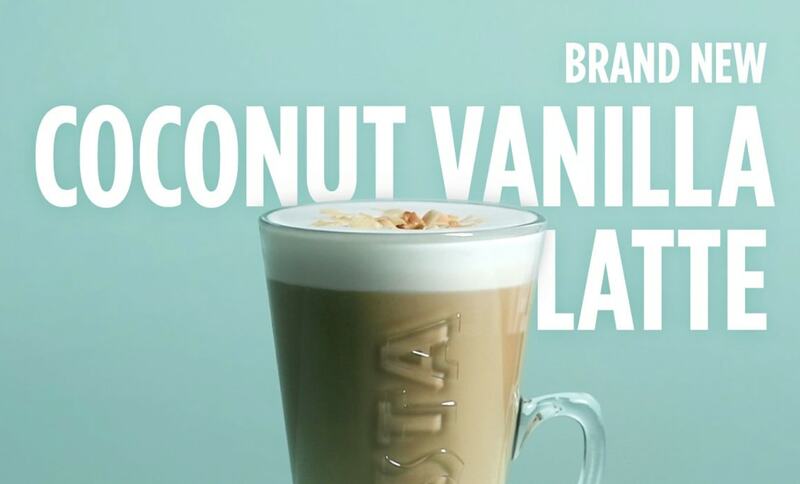 According to Costa Coffee: "The Coconut & Vanilla Latte showcases the perfect partnership of Costa’s Mocha-Italia blend and the light, fresh taste of coconut milk." The brand is also introducing a new vegan snack to stores - the Paradise Slice - 'featuring coconut and vine fruit bound in coconut cream and topped with rich dark chocolate, dried raspberry pieces and nibbed pistachios'. The new products are available at Costa stores across the UK from today.